Management issues, revenue shortfalls, contracts not tracked, environmental laws violated. Members learned of disturbing trends in the management of the state’s resources: expenses growing faster than revenue, contracts not tracked, procurement laws not followed, environmental laws violated and needed planning not conducted. Auditors reported that, over a five-year period, expenses grew by 20%, while revenue grew at a slower rate of 17.8%. If the fair is not able to balance its books, state dollars might be diverted from other programs. Already, state taxpayers make payments on the fair’s debt. In Fiscal Year 2017, taxpayers paid $3.4 million in debt payments. Both revenue and expenses involve contracts. For example, State Fair Park earns much of its revenue from commissions on food, beverage and midway vendors. In addition, vendors pay State Fair Park for leased space. Each vendor has a contract with the state governed by state law. Auditors reported examples of improper or poorly managed procurement (state purchasing). For example, contracts were signed or amended before gaining board approval, as required under the board’s bylaws. The LAB made several recommendations on remedying these problems. Despite months of effort by auditors, State Fair Park officials were unable to provide accurate and complete information regarding contracts. Further, officials provided different contract information to the Department of Administration than it provided to auditors. These findings deeply disturbed lawmakers. “How can the agency accurately do budgeting when they cannot account for either revenue or spending contracts?” I asked agency officials. He then asked if anyone lost their job. Executive Director Kathleen O’Leary answered that one person was fired and several financial and business positions are now filled. “We knew we needed to work closer with DOA (Department of Administration),” said Ms. O’Leary. Officials explained the agency is now in constant contact with Administration officials. Auditors also reported on untreated manure and human waste getting into the sewer system and a nearby creek. “We concreted the barns, put in new sewer inlets and formed teams to clean out the barns,” State Fair Park board member Susan Crane told us. She also reported the fair has an antiquated sewer system that will need to be replaced. State Fair Park officials have not conducted a comprehensive review of grounds and facilities since 2000. In addition, no major racing events were held at the state-owned Milwaukee Mile since 2015 and none is planned for the future. Further, several state-owned facilities at State Fair Park could be better used year-round to raise money for the operations of the Park. For example, consumer and trade shows accounted for more than 70% of the revenue of the leased facilities, but represented just a little over a quarter of all the leased events. Audit committee members were united in their interest to obtain answers from those who now administer State Fair Park. Thankfully, officials were very cooperative and appeared interested in working collaboratively with Audit Committee members to remedy problems identified by auditors. State Fair Park officials are required to report back to the Audit Committee by June 1st on the status of the many recommendations and findings delineated by auditors. Following the audit hearing, I spoke with leaders of State Fair Park. I was impressed by the urgency they felt in correcting the problems identified. I share their enthusiasm for the fair. I want the fair to succeed long into our future. Careful planning and record keeping is something every exhibitor at the fair knows well. We need to take this careful approach to the management of the fair so future exhibitors can enjoy the same amazing experiences. I think its fair to say State Fair Park is not used to it’s full potential when the Wisconsin State Fair isn’t occupying the grounds. 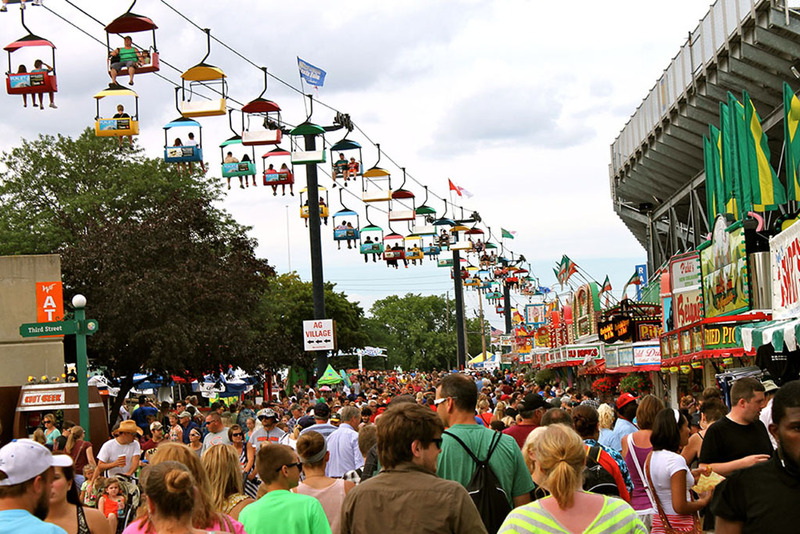 Ideally, West Allis should incorporate the streets of State Fair back into the local street grid and open the restaurant on a year-round basis. The other entertainment aspects of the fair (farm animals, demonstrations, mid-way carnival, etc) would occur during the traditional Wisconsin State Fair.